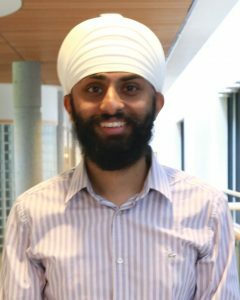 Born in Glasgow, Scotland and raised in Richmond BC, Dr. Matharu received his Bachelor of Science Degree in General Science at the University of British Columbia. He then went on to complete his Doctor of Optometry degree at Pacific University College of Optometry in Oregon, where he graduated with Distinction in 2018. His training included an externship at the Barnet Dulaney Perkins Eye Center in Arizona, with emphasis on ocular disease such as macular degeneration and glaucoma. He also had the opportunity to travel to Germany where he completed an externship rotation at the Landstuhl Regional Medical Center which is a US Army medical hospital. Other rotations included Image Optometry in Surrey and the Pacific University College of Optometry. His interests include glaucoma and speciality contact lenses. Dr. Matharu is a member of the BC Doctors of Optometry and Beta Sigma Kappa, an honorary society for the field of optometry. He is also the recipient of the Duke of Edinburgh Silver Award. In his free time he likes to travel and watch movies. Dr. Matharu is also an accomplished tabla player (Indian Drum) and is a patron of indian classical music.